News: STANT doesn’t need introduction: it is the world leader in the production of fuel supply systems, cooling systems and gas management systems. All this is thanks to extraordinary and reliable products such as closing caps, valves and thermostats. The FCA plant of Melfi, known to everybody as Sata, has chosen Stant for the engagement to provide products without defects, for on-time deliveries and for the strategy of global assistance to the customer. 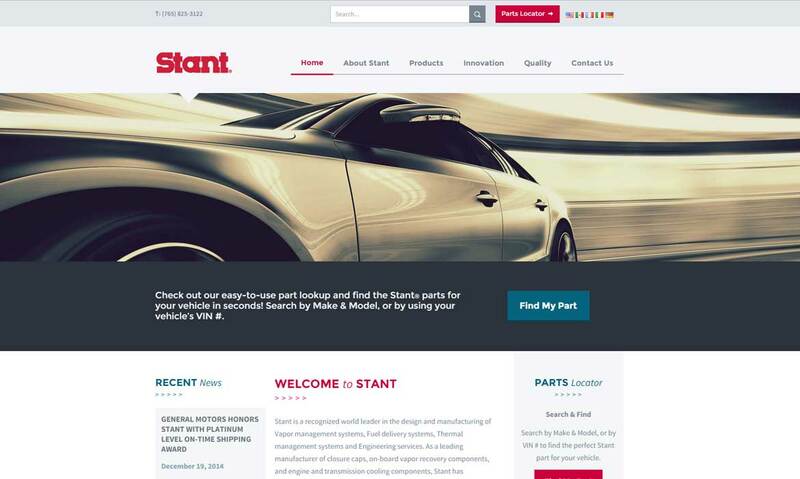 According to its company policy and the prestige of the customer FCA, Stant has felt the requirement of having a qualified service of resident engineering. So it has chosen Punto Netto as ideal partner. The automotive production of Sata with its cars on the more competitive markets in the world needs resident engineering with a highly technical education and a well-established experience: Punto Netto has all these abilities and well knows the requirements of Sata. We are already working in close contact with the customer and Sata plant to assure the full conformity of products and the full productivity of the plant. We know that Stant has received several quality awards in the automotive field. So we are proud to become part of this wonderful team and at the same time resolute to do our part to reach new and most prestigious awards.